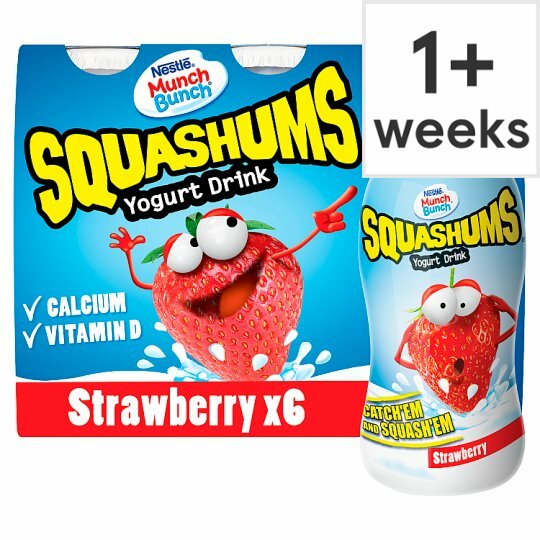 Fruity & Dairy Goodness - too good to let go! So go on, round'em up and squeeze'em out. Naturally, they're bursting to be caught. Each bottle contains 75 ml of milk. ***Calcium and protein are essential for healthy bone growth.